For resident Marg Walker, the With One Voice Altona Meadows community choir at Benetas St George's is more than just an opportunity to sing along to her favourite tunes. 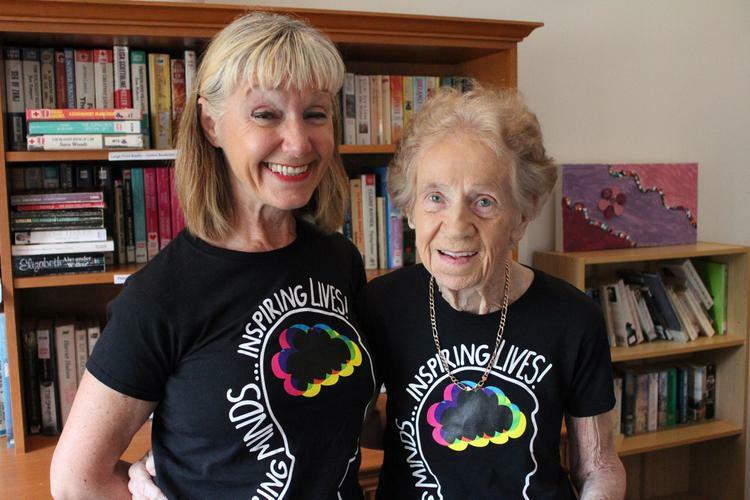 For resident Marg Walker (pictured right, with daughter Jeanette), the community choir at Benetas St Georges is more than just an opportunity to sing along to her favourite tunes. The choir, which breaks down social isolation and stereotypes of aged care facilities by opening its doors to the community, has had a significant impact on the wellbeing of many of its participants. Benetas St George’s residential manager, Justin McCarthy, says care staff have noticed significant improvements in Ms Walker's mood after rehearsals, and that, like many residents, she looked forward to choir practice on a Wednesday. “It isn’t uncommon to walk around the facility and hear residents singing the choir songs, even on the days rehearsal isn’t held," Mr McCarthy says. “It’s far more than just a choir, With One Voice truly provides the residents and members the opportunity to belong, connect, engage and express who they are,” he adds. According to Jeanette, involvement in the choir builds a sense of community between all of us and is truly joyful to hear the different residents singing so enthusiastically. The With One Voice Altona Meadows choir is part of Benetas’ partnership with Creativity Australia.